Press Conference: Shaun Burgoyne On his 19th community camp, Shaun Burgoyne reflects on his cultural experiences. Tom Scully has increased his running intensity in his recovery from a serious ankle injury. The Hawks offered a potential glimpse into midfield life without Tom Mitchell in match simulation last week. James Cousins and untried second-year player Harry Jones were given extended centre-square shifts, while Jarryd Roughead had stints in there as well. Recruit Jack Scrimshaw has been on limited duties for management reasons, but is set to play in next week's intraclub game, while Oliver Hanrahan and draftees Jacob Koschitzke and Mathew Walker are still restricted. Hawthorn was in Launceston on Thursday and Friday for its annual community camp, and a group of players, including Jarman Impey, are also in Katherine, Northern Territory, until Sunday. Grant Birchall: Underwent the latest surgery on his right knee – this time to remove floating cartilage – in December but is ramping up his running. Birchall, who last played in round 15, 2017, still hopes to return in the early rounds of the season. Luke Breust: Left the track early on Wednesday last week and subsequently skipped match simulation two days later but was picked to play for Jack Riewoldt's 'Rampage' in AFLX next week. Tom Mitchell: The Brownlow Medallist made an unlikely appearance at Waverley Park last week, only 19 days post-surgery to repair his broken left leg. He is walking without crutches, but his season is still in some doubt. 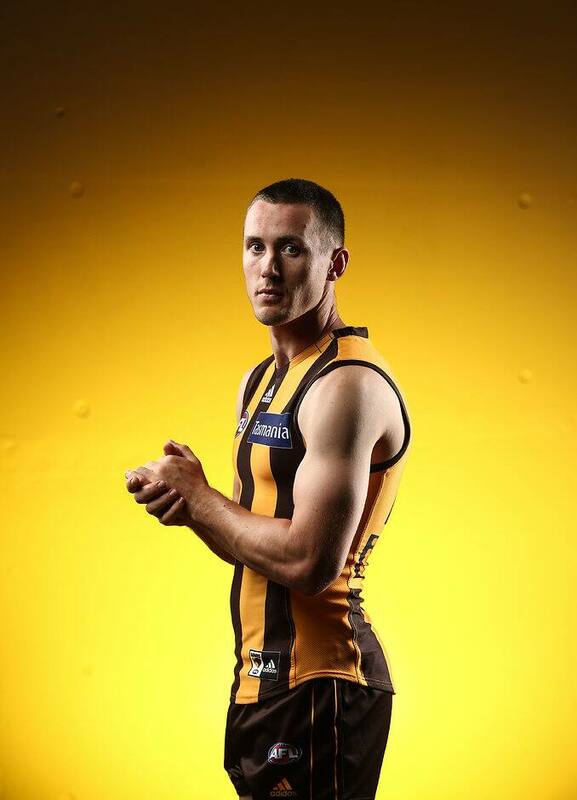 Tom Scully: Has increased his running intensity in his recovery from a serious ankle injury. However, there is no timeline for when the former Giant and Demon is aiming to play this year – other than wanting to at some stage. Chad Wingard: Wingard has been restricted with calf tightness, but the fact he made himself available and was selected for AFLX suggests how minor it is. Richmond, University of Tasmania Stadium, Saturday, March 9, 7.10pm AEDT.